Despite the fact that we live in an area that gets hit by hurricanes every few years, and has for untold millennia, Louisiana Industry is consistently unable or unwilling to take the steps necessary to prevent environmental impacts due to hurricanes. When a hurricane hits it consistently leaves in its wake a slew of oil spills, lost hazardous material containers and chemical plants and refineries releasing pollution due to power outages, start-up and shut-down, and flooding. Isaac was no exception. Residents in the area around Stolthaven Chemical Plant in Braithwaite, LA, just 9.5 miles south-east of the New Orleans French Quarter, remain under evacuation orders due to concerns of the possibility of a release of hazardous material from the facility. Stolthaven, owned by a London-based Stolt-Nielsen Limited, is a petroleum and chemical storage and transfer terminal. 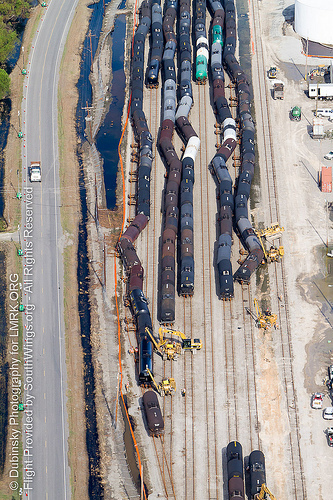 Hurricane Isaac caused significant damage to the facility including damage to a large number of rail cars containing hazardous materials there. The storm knocked chemical storeage tanks off of their foundations and caused the facility to lose power for several days. Stolthaven stores a variety of chemicals, some of which, including styrene and methyl acrylate, require cooling and stirring to keep them stable. These two extensive coal terminals reside on the Mississippi River near Myrtle Grove, LA and receive coal mined by companies like Massey Energy and Peabody Energy from the heart of the country which is then loaded onto ships and exported to buyers around the world. 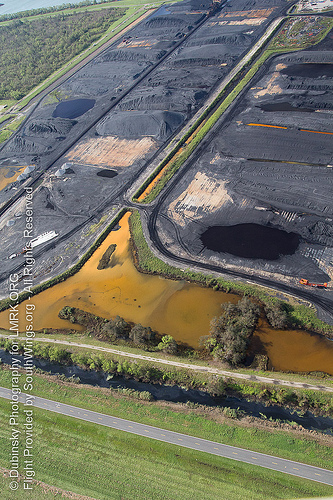 Rain and flood waters contaminated by the coal piles was documented making its way offsite into the surrounding environment. Some standing water can still be seen around the ConocoPhillips Alliance Refinery 9-10-12. 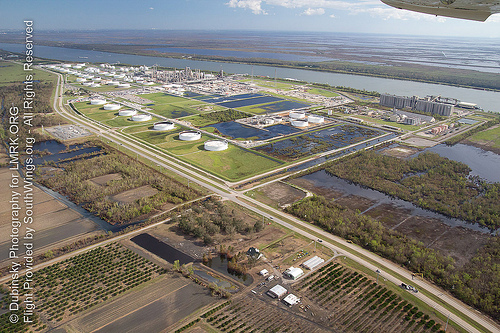 ConocoPhillips Alliance Refinery was extensively flooded by Isaac and oily sheen was observed on the remaining flood waters and it appears likely that some of the oily material made its way offsite during the flooding. Hurricane Isaac also brought oil from BP’s Deepwater Horizon oil disaster onshore 2 years and 4 months after the rig sank. An environmental scientist who has been sampling for the BP oil since the beginning of the disaster remaked, in reference to the condition of the oil currently being found, that “it’s just like August of 2010.” 12 miles of beach were closed between Grand Isle and Port Fourchon because of the large amounts of oil. Gooey tar balls have also been found as far east as Alabama. The oil has been fingerprinted as a match for BP’s crude. LEAN members were able to take samples of oil washed up on Fourchon Beach just before it was closed. The oil and gas infrastructure along Louisiana’s coast remains particularly vulnerable to hurricanes. Like previous storms, Isaac left behind lots of spilled oil. 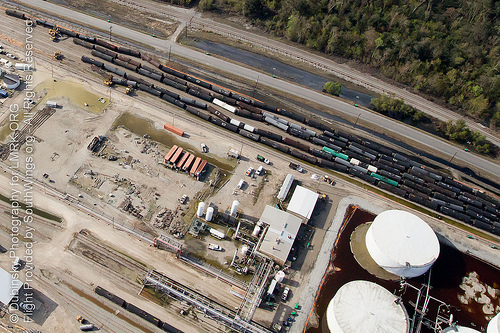 Oil continues to be discharged from the site of Taylor Energy’s wells. The discharge began in 2004 when an undersea landslide caused by Hurricane Ivan damaged an offshore platform and 28 associated wells 11 miles off of the Mississippi River Delta off the coast of Louisiana. 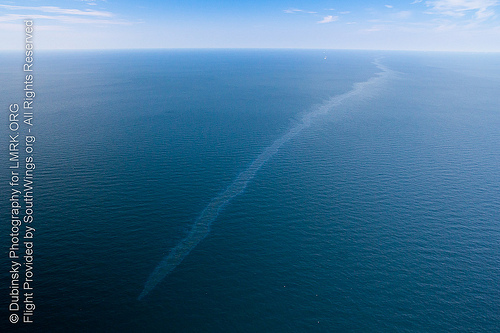 The slick on September 10, 2012 was reported to the National Response Center (NRC) as being 16 miles long. Special thanks to SouthWings for the flight and Jeffrey Dubinsky for the amazing photos! Oil Spill! Oil Spill! Sheen! Sheen! Fresh from our first Flash Mob shouting “Sheen!” and dancing the Crude-Step 2-Step to Stomp out the Stink on Frenchmen Street, on Monday September 10th, I flew over several oil spills and sheens in the lower Mississippi Delta courtesy of Southwings with volunteer pilot Skipper T.
On August 28, 2012 we released a map showing the state’s oil and gas infrastructure that was vulnerable to Hurricane Isaac’s winds and surge. On September 6, 2012 we released a map of all the oil and gas accidents reported by facilities resulting from Hurricane Isaac. By that date, we had recorded 93 accidents attributed to Hurricane Isaac. But today as I write this that number is now 111 accidents. On the flyover, I was joined by Jonathan Henderson of Gulf Restoration Network and a photographer from the Lower Mississippi Riverkeepers. Stolthaven Chemical Plant in Braithwaite: The railcars were overturned and a few tanks had been dislodged. Also two large tanks did not have any roofs and appeared to contain water (we would have been able to see a sheen if it contained chemicals). The fact that they did not have any roofs is problematic because if there is any product in those tanks it is venting freely into the atmosphere. If these tanks have floating roofs that were inundated with water, that is also problematic because the water can tip the floating roof causing the chemical contained beneath the roof to vaporize into the air. 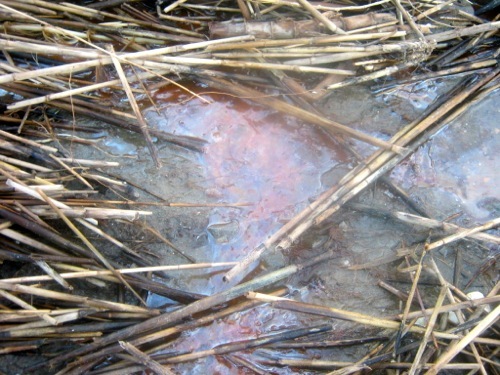 There was an observable sheen in the wetlands surrounding the chemical plant. We know from a report to our iWitness Pollution Map that residents of Braithwaite are very concerned about this facility. 2. Taylor Energy well in the Gulf of Mexico: The wellhead that has been leaking since 2004 after Hurricane Ivan hit it, is still leaking. The sheen stretched for miles and miles. Will it ever stop leaking? 3. 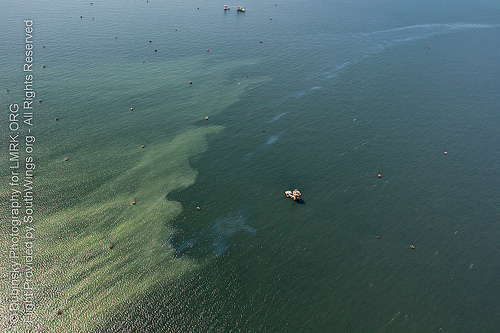 BP’s Macondo Oil: BP’s oil is definitely still in the Gulf, it has only been sunk by chemical dispersants. Every storm and hurricane churns up the residual oil in the Gulf and it is back on our shores. We saw what looked like pretty fresh oil on shore at Bayou Branquille near Grand Isle.